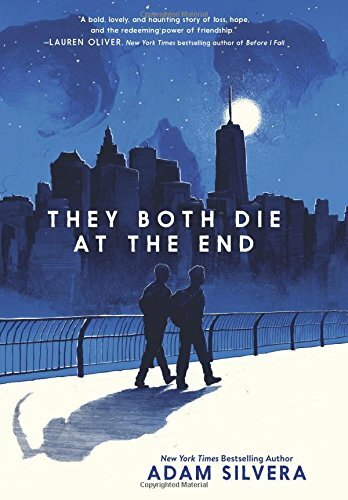 Adam Silvera’s They Both Die at the End is joyful, heartbreaking and fascinatingly original. Told in the first person, in the dual perspectives of Mateo and Rufus, the novel is much more about life than it is about death. In Silvera’s version of New York, there is an organization that knows the date of every single person’s death and gives them a phone call in the early hours of that day to let them know. This is as much a curse as it is a gift, as the novel explores in multiple ways, and the heart of the story is how two boys find joy, hope, love, and grief on the last day of both their lives. Mateo is shy, anxious, and has chosen to shut himself away from the world for most of his life. Rufus is angry, loyal, and passionate. Complete strangers to each other, the two boys’ worlds collide when they both receive phone calls letting them know this is their “End Day.” They connect over an app and spend the day saying goodbye to their loved ones, fall in love, and learn how to live. While these themes have of course been done before, the narrators’ raw, vivid voices and the fascinating details of this world elevate the novel into something truly original. Mateo and Rufus’s raw chapters are punctuated by small scenes from the perspective of supporting characters, told in the third person. Some of these perspectives work better than others—one character contemplates suicide in a snippet that is poignant and powerful, for example, while a famous actor’s scenes seem to bear no relevance to the rest of the plot whatsoever—but these little glimpses into other characters’ lives are successful on the whole and pave the way to a conclusion that is as moving as it is devastating. The ending is not perhaps what you might expect from a novel that sets it characters up to die from the very beginning. The tension that lurks at the edges of every scene leads to the expectation that something big and apocalyptic is about to happen, yet here Silvera defies expectations and captures everyday tragedies that are that much sadder for their ordinariness. This is a novel that makes no promises. From the start, indeed from the title alone, the reader knows this story won’t have a happy ending and the surprise, therefore, is in just how joyful and hopeful the story is in spite of and perhaps because of this. This is a novel that will linger in the heart long after the last page is turned.